Happy Tutorial Thursday! Today's video will show you exactly how to create this beautiful little frame. 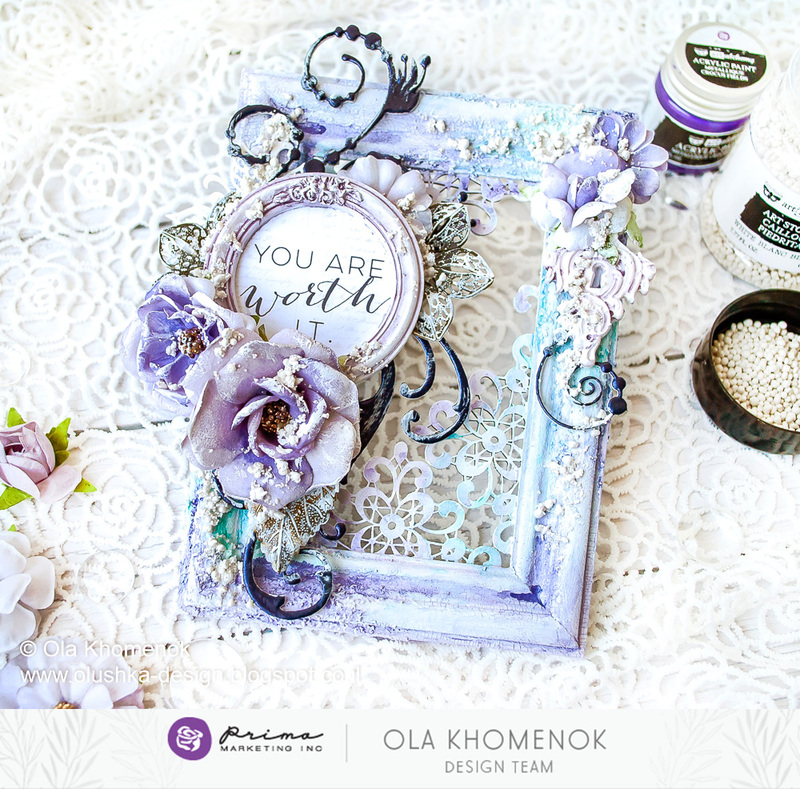 We just LOVE the colors and texture Ola was able to add to the frame to make it truly exquisite! 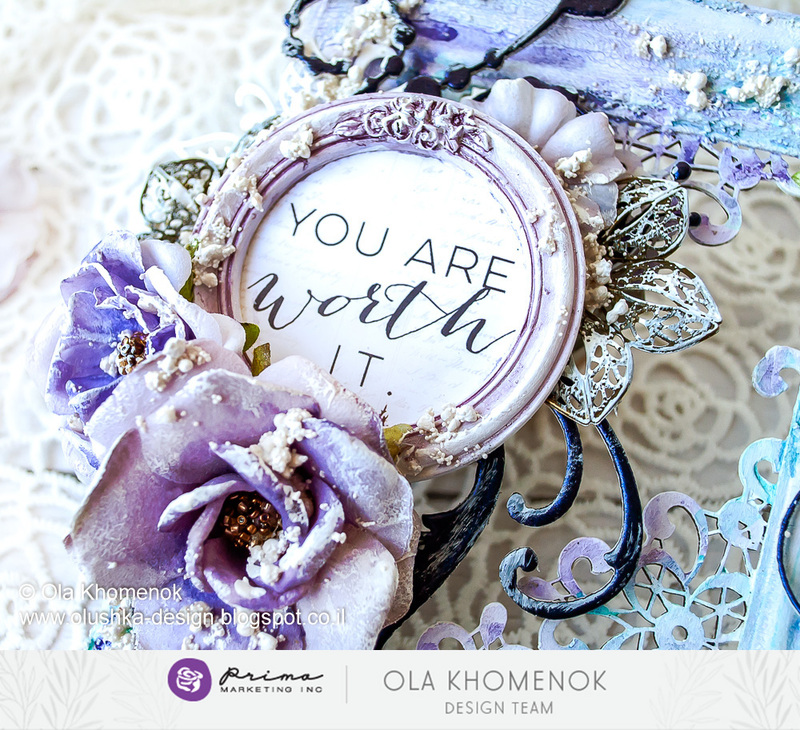 I just LOVE the texture Ola created on this little piece! It's so pretty. The colors are brilliantly balanced with just enough white space to make them shine. Please let us know if you love the video as much as I do and have tried any of her techniques!